Many of us consider sorrow to be the opposite of joy. The spirit world knows better, they believe sorrow gives us the space and the time to analyze ourselves and others. We think again about our attitudes and beliefs and discover better paths in our lives. 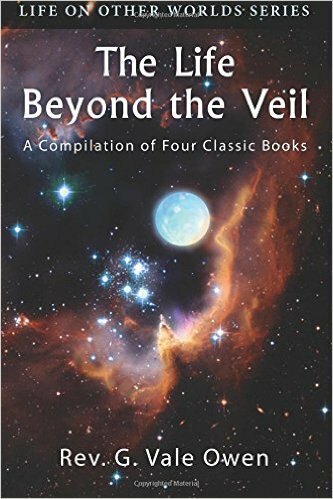 In the Reverend G. Vale Owen’s book, The Life Beyond the Veil, there is a revealing passage about sorrow; what it is and what it is used for. In Book One – The Lowlands of Heaven, Owen’s mother writes to him from the other side about the passage in the Bible when Jesus tells Peter that he is an adversary to him. This event is in the context of Jesus preparing the Apostles for his death in Jerusalem. According to Owen’s mother, Jesus wished to deliver the message to his disciples that his imminent death would not be a failure, but the start of a grand design. From his death a sequence of events would unfold which would change the world forever. Sorrow isn’t a state of complete despondence, but a gateway to open our hearts and minds to the true state of our life. The feeling of sadness enables the lifting of the veil of self-deception in which we had been living and forces our vision to gaze on the light of the truth. Truths that we may have been consciously avoiding by letting our emotions and prejudices rule our conscience. During our trials here on earth, we have all experienced sorrow. The events which brought us down to misery are often meant as a signal to change direction. A sign that our accumulated decisions made so far are not entirely correct and should be modified. An example would be when family members are estranged from each other. When one of the group suddenly dies, the survivors realize, through their abject grief, the pettiness of past arguments and reconcile. Thusly, sorrow serves to awaken our priorities and place in perspective the trivial grudges and plans for revenge we all, at one time or another, hold against those who dared to slight us. Owen’s mother, who is now part of the loving legion of spirits who help guide our small destinies, discusses how sorrow could be used by the spirit realm to subtlety maneuver us onto the right path. The paragraph above says so many things about the spirit world on so many levels. First, the amount of study and effort that is spent on our part. We, who are sent here to learn, completely unaware of the army of good spirits who care for us and attempt to illuminate the right path, are the objects of love so complete as to warrant such exertion and determination on our behalf. Secondly, the set of rules in which our life is a predetermine set of events, but in which our choices are completely our own. Like children, whose every decision is usually the wrong one, our spirit benefactors must observe us stumble upon the earth in a seemly chaotic dance of wrong-headedness. Only pure love could possibly explain the dedication to our cause. At the end of the day, when sorrow crashes upon us like a giant wave, remember to use it as a tool. A device to rethink and analyze, to put inside the deepest regions of your heart what is important and what is not. Let your conscience, that gift from God, which is the set of Divine Rules which is implanted into each of us, fashion your thoughts and your plan to move forward. Understand more about the spirit world and how we are guided by our spirit mentors in my book, 7 Tenets of Spiritism – How They Impact Your Daily Life. You will discover the signs and signals within your trials and learn to move calmly through life down the river chosen by you and your guides to allow you to ascend in your current existence.